Bengal Cat Forums • View topic - Cat trees!! Post subject: Re: Cat trees!! especially for large cats and more than one athletic adult cat. The cheaper ceiling height ones often need to be secured to the wall/ceiling with your own added bracket and rawplugs/screws, But thats also an option if you are able to add stability with your own added bracket. There are some lovely natural wood trees available online and also some ''modern design'' aesthetically pleasing trees but they usually cost stupid money. I would definitely recommend solid wood cat trees. They are more expensive, but they seem to last forever without a 'wobble' even after 12 years, so you save on not having to replace the more regular cat trees. The poles from hicat look like lots of fun to me... if placed next to some shelves/tree even better. But you can make a cat pole yourself for a fraction of the cost of these. Take a trip to local carpet store and ask for one of the ''inner tubes'' (dont know correct name) from a finished roll of carpet (they are huge) and you should be able to get that free... then buy a length of cheap rough texture carpet the same length as your pole (need to cut it to the height of your ceiling) and use a decent glue to wrap and attach the carpet around the pole. I did get a pang of guilt about diminishing the value of the hicat poles... but in these times of economic pressure I personally have to try to save wherever possible. I assume its the same for all of us. I find alot of the small company made cat products (not mass produced) are very highly priced... I also know a guy that ''knocks together'' (his words) real wood trees occasionally and he has a good laugh down the pub at how much he charges for ''bits of wood I got for nothing'' which makes me a little sceptical at the prices of some handmade trees.... I couldnt make one (lol) but I also wouldn't pay the current asking prices. Unfortunately some really cool things that are over priced ARE purchased by some of the richer cat people out there and this provides enough market for them to keep prices as they are. Cat wheels are the worst for this IMO ... those things can be made from very cheap material but because your average joe cant make them at home they are sold for just crazy prices. Id love to see a cat wheel producer willing to reduce their profit margin a bit to allow more people with avg income to buy one or two... more cats would enjoy them and benefit from them too. The thicker hicat poles that have the carpet lining inside and shelves to climb and peep-holes are not easily made and I am tempted to get one actually. I do admire the solid wood trees, but I do think they are a poor value. Like others have said, great if you can afford it, maybe someday I'll get one myself, but the other trees may be a lot more practical. My experience is that the cheaply made cat trees do practically last forever anyway. I have two cat trees that I've had for 15 years or so, and I really haven't had any thoughts about replacing them to due being worn out or such. I wouldn't be surprised if they lasted another 15 years. The other thought is that many of the pictures of the solid wood trees look very small. From a cat's perspective, I think that is a poor tradeoff (getting a smaller tree made of wood vs a larger one made of the usual cardboard poles). I have a couple of small tree/structures (that were actually my very first cat furniture purchases), and I've since learned my lesson. Bigger (and particular taller) is better. The one caveat is that you do still have to pay attention to build quality, and it's not always apparent from pictures. I bought one tree that I ultimately had to just throw out. It didn't go together properly, and was wobbly and just really poorly conceived and built. So I had to take a loss on that one. I guess the best way to be sure is to get a personal recommendation of one that another member has used. That's really the only way to be sure. Yeah, I do see where you're coming from Brian. I had quite a few cat trees before I decided on a solid wood tree. I was a bit skeptical re. the price for the quality etc... but bearing in mind I had at least SEVEN adult Bengals using it regularly, It more than stood the test of time, so I was more than pleased with the quality obviously. I can honestly say hand on heart that the tree was as solid standing after 12 years as the day I bought it. I had to leave to leave it behind when we moved due to lack of space/storage sadly. It did need re-covering with carpet/sisal after 10 years or so, but I figured that would cost approx. £100, which wasn't so bad after so many years. I've honestly never been so pleased with the quality of a cat tree though, and I had got through quite a few believe me! I had the model 32 at £257, which has only increased by £7 in 12 years, as I bought it for £250. What a tiny increase after all those years! Louise from Happy House Cats (original owner) was making a cat wheel but found that it was going to be too hard to make for the money people wanted to spend. It just too up far too much time. So that is one thing you hav to factor into this when you say they are overpriced. Not all the makers on these things are a big business and often they have to factor in their time plus not being able to buy materials cheaply off they can't bulk buy. I handmade stuff, stained glass and silversmithing and I rarely sell anything. I make for gifts mostly because I know I would never get what it costs me to make! So I appreciate the handmade small business person a bit and like to support them over large companies. My cats will soon be getting a rather extravagant cat tree, I have loved the Tigga Towers ones since viewing them at cat shows. I love the look and the build quality is simply fantastic! I also want a HiCat as well. Worth noting that not all the HiCat poles could be made out of a carpet tube as they have fat ones as well. I also have a breeder friend who made a pole from a cardboard tube from carpet with carpet and sisal bits to it, her cats destroyed it in 10 months. But I guess it depends on how many cats you have and what their demand is. People have used shelving covered in carpet to add activity to walls for cats at a fraction of the cost of trees. I had a few trees cut down this summer so I got them to save me some long bits of branches and will be designing my own climber for the cats to use outdoors when the garden is cat proofed. Love those links Maddy, will have a proper look tomorrow. 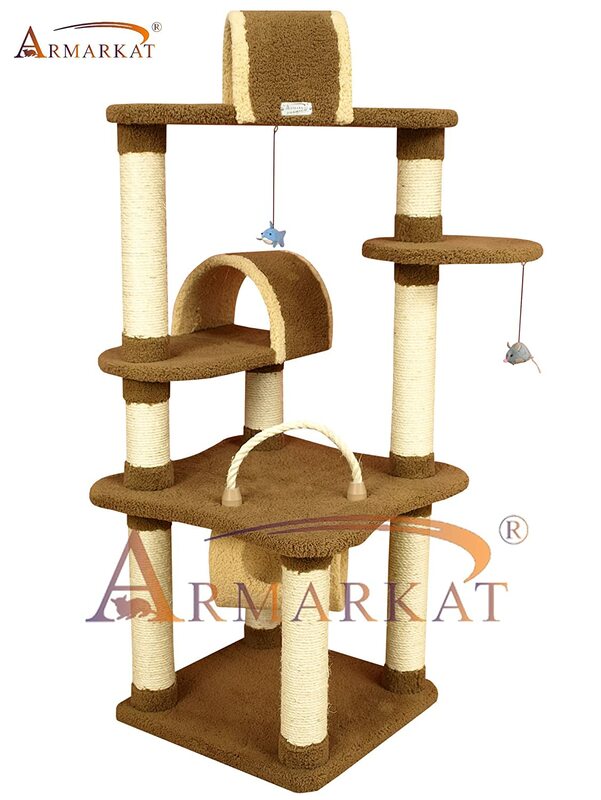 My kitty has three cat trees -- and Amarkat is really a good one and he can usually be found in one of the platforms. It wasn't that expensive and is quite solid. I also have one that is so top heavy that every time the cat jumps down, it falls over. I still need to fasten it down to the deck. Molly and Friends makes solid cat furniture. It's not cheap, but it's quality. 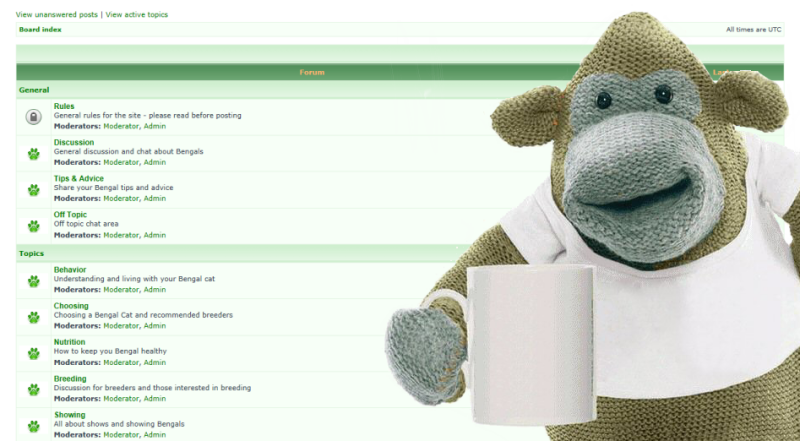 Can I have my thanks in form of piccys on the new tree please? j/k but would be good to know what you decided to get and if its any good ect.